1. Don’t choose a salon or spa based on price. Many people have a misconception when it comes to prices at spas. Don’t choose a spa just because it’s cheap, you’re most likely not going to get the customer service or quality of service you are expecting. Then again, don’t choose a spa just because it’s expensive. You may have your expectations very high for a place like that, and you may be getting overcharged. You’re looking for a place where you are getting quality service, customer satisfaction, while paying a reasonable price in exchange for what you are getting. Choosing a spa for yourself shouldn’t depend solely on what you would be paying. 2. Look, don’t just listen. There is nothing wrong with asking around about a good spa or checking for online reviews, but remember to look for yourself as well. Somebody may tell you that they recently got a brow wax at a local spa, and that they loved it or they hated it. Make sure you actually look at their brows to see how the spa did. You might hear that a certain place is awful and to avoid, but ask yourself if this person’s critique is truly a well-rounded review. In other words, try not to make a decision based solely on what you hear. One of the best advertisements for a spa is the actual product created; the quality of the brow wax, manicure, pedicure, etc., will show for itself. 3. Look for good customer service. Customer service is a huge element of your spa experience. Let’s say you go to two different places for a pedicure. Both of the spas give the same great pedicure, but at one of the spas the technician is interested in making sure you are comfortable, is interested in talking to you and is generally kind and considerate towards you. You are going to enjoy yourself much more at a spa like that. People who have had a great spa experience will often rave about it. Keep your ears out for these kinds of reviews on your search! 4. Make sure they offer the kind of services you want. Visit the spa’s website or call in and speak to someone directly (also a great way to gauge the spa’s friendliness and customer service) to check out what services they have to offer. Spas usually have a “menu” listing their services and prices. Some smaller day spas may not have a service that you’re interested in, so you may want to check and see if they have what you’re looking for. A full-service day spa or med spa is more likely to offer facial treatments, body wraps, sauna, laser, botox and therapeutic massages but the cost may be higher. 5. Make sure it’s clean. One of the main things you want to be sure about regarding choosing a day spa is cleanliness! This is very important. Spas often have many clients back to back, one right after the other. If the sheets are not changed after every client massage/facial or if the tools are not cleaned after every pedicure/manicure, germs and bacteria can spread rather easily. A good spa is a clean spa. Do you currently have a spa you’re loyal to? We’d love to be YOUR new spa! 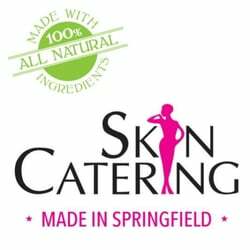 Come check out our two locations – SkinCatering in Springfield and D.Hotel Spa in Holyoke. Most of us know that massages can be a nice relaxing way to pamper ourselves, or others when life gets a little hectic but did you know that there is much more to massage than just indulging yourself for an hour or two? The benefits of massage go far beyond that, read on to see the five reasons you should make an appointment for a massage today! Headaches – Massage may help relieve chronic tension headaches in less than 24 hours. In a study where chronic tension headache sufferers were given massage in the neck and shoulders, they saw reduced symptoms and frequency during the treatments and continued to see a reduction of symptoms during the study. If you are suffering headaches, you may want to stop into SkinCatering for a 15 or 30-minute Headache Relief Massage today. Digestive Disorders – The reduction of stress and use of some aromatherapy can help relieve symptoms of IBS (Irritable Bowel Syndrome). In addition to that, the physical manipulation of massage may also help alleviate IBS symptoms by relaxing abdominal tense muscles causing pain and constipation. If IBS is something you are dealing with, it is best to find a professionally trained and licensed therapist and start with a consultation, letting your therapist know your history and current symptoms. Your massage therapist will be the expert on best methods of treatment as some massage methods could exacerbate symptoms. Insomnia – If you suffer from insomnia you are likely no stranger to anxiety and sleepless nights. Massage can greatly help us relax, relieving anxiety, but can also help us holistically treat insomnia. According to Nicole Cutler L.A.c., “The chemistry of sleep is relevant to massage therapists because massage can directly influence the body’s production of serotonin.” This connection calls for additional research of the direct impact massage has on serotonin and sleep. Meanwhile, the current research is enough to recommend consistent massage if you are suffering from insomnia. Sports injuries – If you are an athlete I am sure you are no stranger to pain and injury. Massage helps to relax muscles and relieve tension and is a great therapy to help with sports related pain. Although you may not immediately feel the effects of massage, you should feel it within a day or two. Sports massage can help improve circulation, which can also aid your metabolism, can improve range of motion, shorten recovery times, prevent overtraining, and may even be able to help prevent and help injuries. SkinCatering offers Sports Massage at both their Springfield and the Holyoke locations. Soft tissue strain – Strains and sprains can be a real pain, even long after you think they may be healed. Another benefit of therapeutic sports massage can be to aid in preventing further injury. When a soft muscle injury is healed, it is usually replaced by scar tissue which will mean the loss of flexibility and will be much more likely to become reinjured. Consistent sports massage could help to reduce or remove the scar tissue in the affected area. No matter the reason you are coming for massage, always make sure to let your therapist know if you have had any injuries or changes since the last time you saw them, and let them know your biggest concern so they will be able to help you best by focusing on those areas. Our skin is our largest organ, and the way it works truly fascinates me, but I suppose that is partly why I became an esthetician. Did you know that the cells of your epidermis (the outermost layer of skin) completely turnover on average every 28 days? Pretty amazing (and kind of gross knowing that most dust is actually dead cells that have shed)! This turnover is also called the Cell Renewal Factor or CRF. There are some factors that can change the rate at which our skin cells turnover, the biggest factor being age. Our cell turnover slows down as we age, and this is why we turn to things such as AHAs (alpha hydroxy acid) and BHAs (beta hydroxy acid) to help speed up that cell turnover. smooth skin, as we age this factor slows down, we start to see the fine lines, and wrinkles in our skin, as well as start to see thinner skin with less elasticity. Our skin also has a tendency to feel more dry or dehydrated as we age as well. All of this causes the cells to stick instead of shedding from the skin because they are not turning over like they should be, which means new youthful skin is not appearing as quickly. There are many products, modalities, and treatments to help increase cellular turnover and increase collagen and elastin to help prevent aging. Some of these include enzymes and peels, microdermabrasion, dermaplaning, microcurrent, and ultrasonic facials. Using these treatments can help prevent, and to some degree, help to reverse the signs of aging. Our skin starts to feel more dry and/or dehydrated as we age. These are not one in the same. Dry skin is a skin type, that is due to a lack of oil in the skin. Thus causing it to be dry. A dry skin type can show signs of aging sooner as the lines are more pronounced in a thinner, drier skin. Dehydration, which can happen to any skin type is a lack of hydration (water). As we age our body does tend to produce less oil, so although our skin type never changes, a normal or dry skin may see a more pronounced decrease in oil production, and increase in fine lines. Professional exfoliation and at home maintenance will help greatly with improving dry skin and aging, as well as a beauty oil’s such as SkinCatering’s Omega Serum (in fact the entire advanced skin care line is a great way to increase cell turnover!) Dehydration, can be much easier to combat than dryness, as it is a condition and not a type. This could be caused by many things such as nutrition, sun exposure, medication, hormonal imbalances. Once you know the cause, you can start to treat your dehydration, hyaluronic acid, and a good moisturizer can help, as well as increasing your bodies hydration as a whole. No matter how dry, dehydrated, or hydrated your skin is, your skin health should be a priority and it is not too early to start maintenance facials to prevent the signs of aging before they even start. At SkinCatering Spa, Springfield, MA and D. Hotel Spa by SkinCatering, Holyoke, MA our team of skilled estheticians can give you a full skin analysis and recommend the best treatment options for your skin type to keep it healthy no matter your age. It’s the last morning of the weekend and sunshine is filtering through the curtain onto your pillow. Rolling over, you’re greeted with a nuzzling kiss. Sunday Funday has arrived and you’ve got one thing on your mind – Brunch! And what’s the perfect romantic pairing with a mimosa-filled breakfast? Spa Sundays at SkinCatering, of course! Now open 9am to 1pm, SkinCatering has a special offer just for couples. Magically designed for you and your significant other to enjoy a much-needed relaxing time together, choose from our signature Couples Massage OR our new Spa Treat for Couples! Book your Sunday Spa Day ReTreat now, limited spots available! Glycation is this year’s buzzword according to an article by Nicole Altavilla in American Spa Magazine. Glycation is the process in which a sugar molecule (fructose or glucose) bonds to a protein or lipid molecule. This bond forms a HARMFUL new molecule called Advanced Glycation End Products or AGEs. As AGEs accumulate they cause permanent damage to other surrounding proteins. The more sugar we ingest, the more AGEs develop. AGEs don’t just cause damage to the protein in your blood stream though, they also cause damage and inflammation of collagen and elastin in your skin. That is why many skincare brands are jumping on the anti-sugar bandwagon and focusing on ingredients that help to reverse the damage caused by Glycation and AGEs. According to the American Spa Magazine article, some of these reversing ingredients include kombucha black tea ferment, omega-6 essential fatty acids, peptides, and tumeric. Anti-glycation services are still hard to find on treatment menus as it is a growing area of research. SkinCatering’s esthetics expert, Kimberly, offers an all-natural White Willow Bark Facial treatment which is excellent in combating and reversing the effects of AGEs. You can find more information on this specific service here. To request an immediate appointment for this service click here. SkinCatering is opening it’s 2nd location in Springfield, MA in November 2013! Yes, you read that correctly! My team and I have the honor of supporting, and caring for, the busy people of Springfield, Massachusetts. So where will we be exactly? Tower Square is the name of this special building that will house our 1600 square foot spa & skincare operation. It’s located in the heart of downtown Springfield at 1500 Main Street. 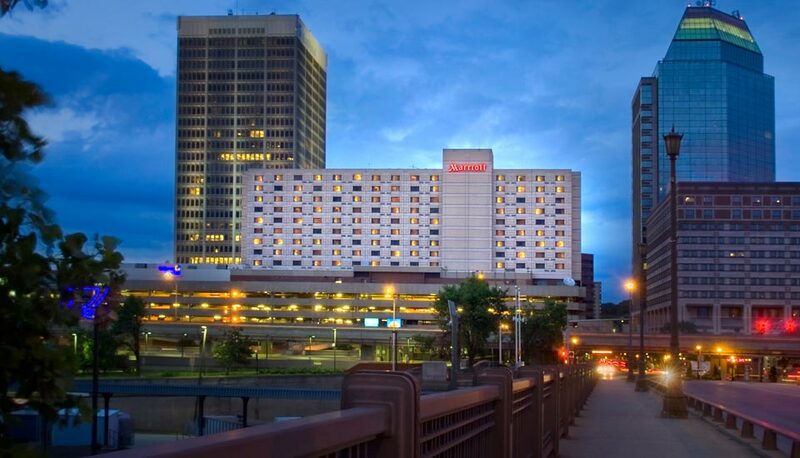 Attached to the Marriott Hotel, Sheraton Hotel, and Mass Mutual, Tower Square has a 3 level parking garage, food court, restaurant (Currents), private dining club (The Colony Club), sports bar (Champions) and best of all…it’s within walking distance for most of our existing clientele that work in the area! 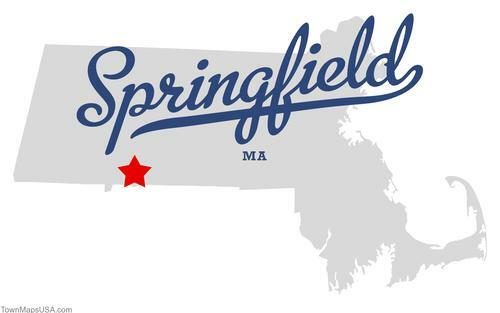 I have a special love of Springfield, as this is where my grandparents were born and raised. 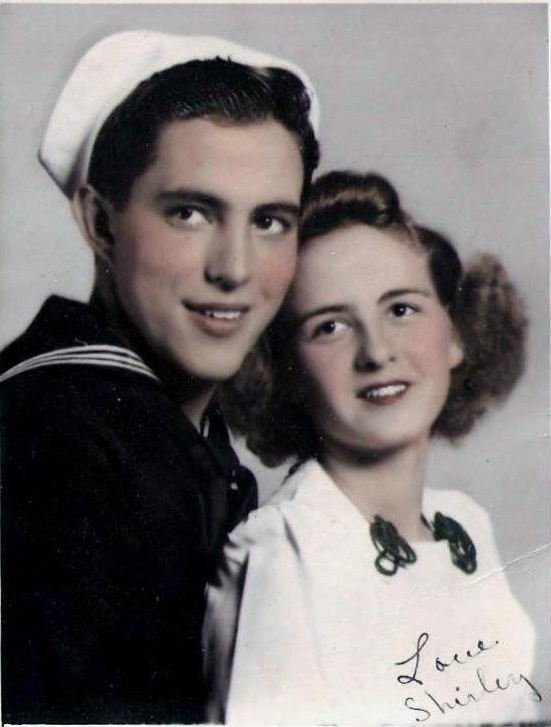 My grandma Shirley worked at the very first Friendly’s Ice Cream restaurant! She made the best Root Beer Floats when I was little. While I grew up in Canada and visited Hampden County almost every summer, I’ve spent a lot of time here in the 16 years I’ve lived in the Pioneer Valley. True to it’s historic reputation for innovative progress, I’ve pleasantly watched as positive changes have been made by people embracing the Revitalization of Springfield. I am thrilled to be a part of it! Before work, on your lunch break, or after work, you can schedule a full appointment or an express session at a time that fits your busy schedule. A view of downtown Springfield & Tower Square on a crisp, Autumn morning. For our Boston friends wondering where Springfield, the 3rd largest city in Massachusetts and 4th largest in New England, is – It’s on the west side – between Worcester & The Berkshires! The Hartford-Springfield region is known as the Knowledge Corridor because it has the 2nd highest concentration of higher-learning institutions in the United States. Recently, Springfield has become home to a number of biotech firms and high-speed computing centers. 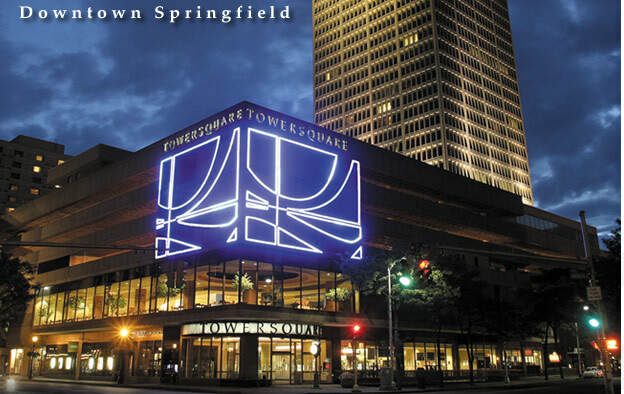 As of 2009 Springfield ranks as the 24th most important high-tech center in the United States. The first American gasoline-powered car, (1893, Duryea Brothers) which in 1895 won the first automobile race in Chicago, Illinois. Famous children’s author, Theodor Seuss Geisel (aka “Dr. Seuss”) was born in Springfield, which inspired much of his work. 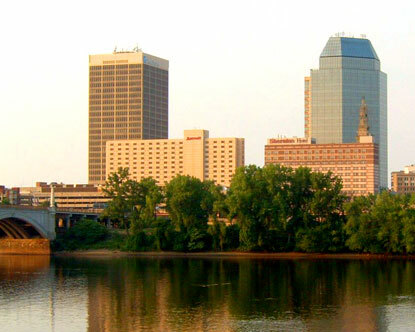 Springfield is home to Massachusetts’ largest Fortune 100 company, Mass Mutual Financial Group. Is home to the world’s largest producer of handguns, Smith & Wesson, founded in 1852. The Springfield Indians of the American Hockey League (now located in Peoria, Illinois) was the oldest minor league hockey franchise in existence. In 1994 the team relocated to Worcester and was replaced by the current Springfield Falcons, who play at the Mass Mutual Center. Forest Park is one of the United States’ largest urban parks and also one of its most historically important urban parks. Designed by Frederick Law Olmsted – the famed designer of New York City’s Central Park – Forest Park is nearly as large, and similarly diverse. Springfield resident Mr. Everett Barney invented the clip-on ice skate and popularized the roller skate during the 19th century. Springfield is home to Massachusetts’ 3rd largest employer, Baystate Health, with over 10,000 employees. Springfield was home to the first commercially licensed radio station in the United States, and the oldest radio station of any kind in New England: WBZ, which broadcast live from Springfield’s luxurious Hotel Kimball at 140 Chestnut Street, (now the Kimball Towers Condominiums) before moving to Boston in 1931. Rolls-Royce of America Inc. was formed in 1919 in Springfield. A manufacturing plant was set up on Hendee Street. The factory’s 1,200 employees produced 1,703 Silver Ghosts and 1,241 Phantoms. The 1929 stock market crash lead to the plant’s closure in 1931. The 1996 Rolls-Royce Silver Spur Springfield Edition was made to commemorate Rolls-Royce of America’s 75th anniversary. In 1968 Springfield Technical Community College was founded behind the Springfield Armory National Park. It is the only “technical” community college in Massachusetts, and was founded to continue Springfield’s traditional of technical innovation. The Quadrangle, a cluster of 5 museums and a library (paid for by Andrew Carnegie) that surrounds a sculptural garden, includes the first American-made planetarium, designed and built (1937) by Frank Korkosz, and the most extensive collection of Chinese cloisonne outside of China. Volleyball was invented in nearby Holyoke, MA but it’s first exhibition match was held in 1896 at the International YMCA Training School, now known as Springfield College. Watch our facebook page to see pictures as we move in and as we share news of special events! 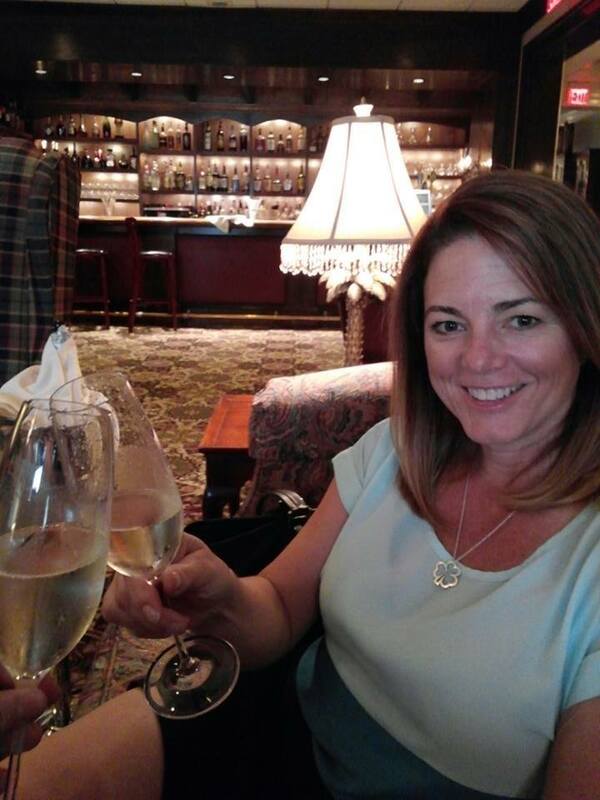 Kim toasts to our success!